An indulgent retreat within one of the most awe-inspiring Brazil hotels, our Superior Rooms are the perfect choice for an unforgettable luxury vacation. Each features paintings of the local flora and fauna by Brazilian artist Ludmilla de Montes and traditional azulejos “painted tiles”, designed exclusively for Belmond Hotel das Cataratas. Located in the Forest Wing, these rooms feature paintings of the local flora and fauna by Brazilian artist Ludmilla de Montes. They're complemented by traditional azulejos “painted tiles”, designed exclusively for Belmond Hotel das Cataratas. Our Deluxe Falls View Rooms offer all the features and amenities of our Deluxe Rooms but also boast spectacular views over Iguassu Falls. 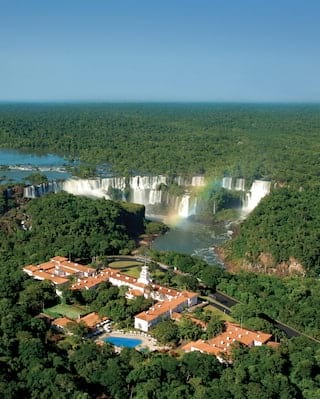 After a thrilling day exploring Iguassu Falls, return to the comforting luxury of Belmond Hotel das Cataratas.